Where does the Torah world in the United States go to discuss its challenges, find solutions, and forge a path forward? The annual Agudah Convention. This year’s convention, which began last night in the Crowne Plaza Stamford, was attended by over a thousand people, and almost ten thousand more watched on the livestream broadcast. This year’s convention theme, “Moving Forward,” was the common thread of the evening: Moving forward with frank discussions of some of the most crucial issues facing Klal Yisroel, moving forward with direction from our Gedolim, and moving forward with solutions from presenters and participants alike. Among the many sessions, and emblematic of the focus on identifying Klal Yisroel’s problems and enumerating answers to them, Rabbi Benzion Kokis, Rabbi Paysach Krohn, and Shaya Ostrov discussed before an attentive audience “Shidduch Coaching: An Idea Whose Time Has Come.” What was once considered a rarity – coaching our young men and women on the path towards marriage – has now become commonplace. Other sessions, on topics including anti-Semitism, connecting with Hashem, the state of mental health in the frum world, and audience submitted Q & A, were filled by people avidly interested in hearing the Torah perspective on these critical subjects. 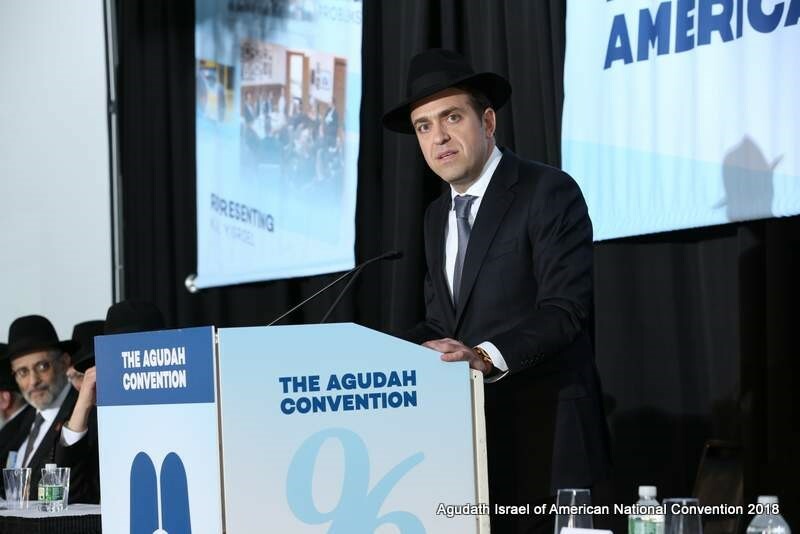 Also notable this year – and a symbol of Agudah’s engagement with the needs of the tzibbur – was the two-day exclusive mental health track for 130 professionals. Addressed by distinguished Rabbonim and recognized mental health professionals, the completely sold-out event gave participants a chance to seek guidance from a Torah perspective, and to have an opportunity to network with colleagues. Thursday night’s keynote session brought close to 1,200 people together in the hotel’s International Ballroom to hear from Gedolei Torah. Sruly Bornstein, the convention’s co-chairman and the chairman of the evening, introduced the speakers, noting that Moving Forward means attempting to do what one might otherwise think is impossible. HaRav Binyomin Eisenberger emphasized that an individual’s learning sedorim must be a chok for them – not to be interrupted or cancelled for anything. “This is my pikuach nefesh,” he said, meaning that one’s regular learning sessions are what protects his soul. The Agudah Convention continues through Sunday afternoon. All Friday, Motzoei Shabbos, and Sunday sessions are open to the public. For a full program and other convention information, see https://www.agudahconvention.org/. 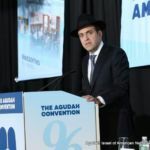 The Agudah Convention will also be livestreamed, available at https://www.agudahconvention.org/live.